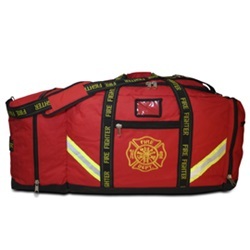 Lightning X Products has been improving the design of this gear bag for nearly 15 years. With help of the customer feedback, the LXFB10 has been designed from inside out by firefighters like you. 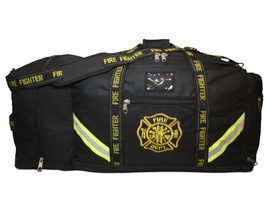 It's large enought to hold all of your turnout gear, helmet, SCBA mask and other itemsall while being tough enoughto with stand the wear and tear that most firefighters are known to inflict on their gear. 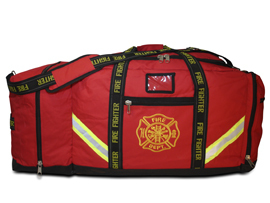 The LXFB10 has various pockets and compartments to keep your gear organized. It's large, it's rugged, it's reflective and it looks great! Everyone else in the firehouse will be asking where you got it.